Fastnet Trails is a system of long and short nature walks set up by the Fastnet Trails Group in conjunction with Aughadown, Ballydehob and Schull Community Councils. This package of scenic walks for families and enthusiasts lies close to the coast of Roaring Water Bay and covers a total distance of 80km. 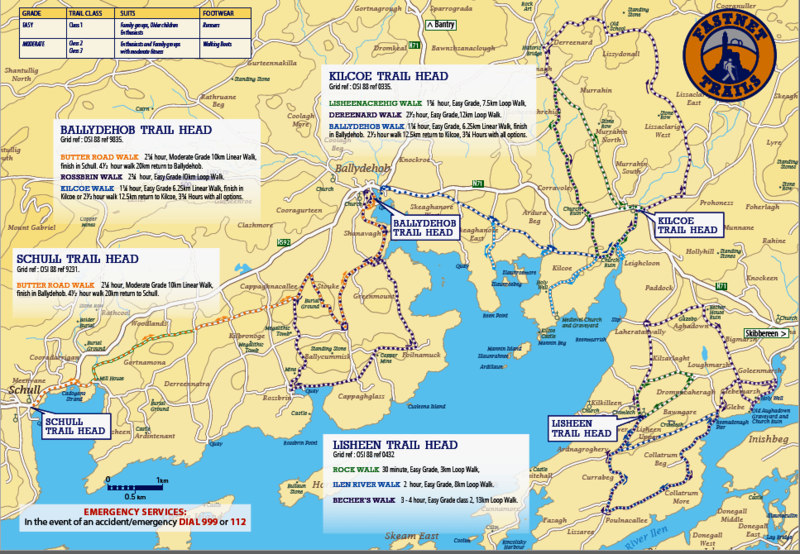 The Fastnet Trails Facebook Page was set up to promote the working trail loops in Lisheen, Ballydehob, the Butter Road and Schull. Photographs, videos and an account of events are posted on behalf of Fastnet Trails in the area by Margaret McSweeney.